Wendy Cooke studied with Yvonne Mounsey and Rosemary Valaire. She danced in Westside Ballet productions in the 1980s. 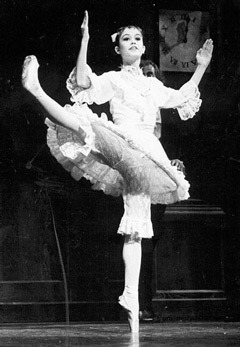 Her roles included Doll in The Nutcracker (1980). Wendy went on to dance professionally for Southwest Ballet in Albuquerque, New Mexico. Wendy is still connected to Westside Ballet as co-owner of Westside Body Works, where many of our dancers work out.